We provide our clients with a full range of social media services. Below, you will find summaries of some of the work we provide. If you would like to find out how we can help your business, please contact us on info@thedigitalzebra.com. The Adventure Film Festival Kigali (AFF) is a community arts event, based in Kigali, Rwanda. The annual event includes premieres of a number of locally-produced travel-themed movies, family entertainment and education programmes. The Digital Zebra has been engaged by AFF to promote the Festival, using multi-language, B2C social media, including Facebook, Instagram, Twitter, a website and email marketing campaigns. Efficient to Effective is an international consultancy business. They run performance improvement, team effectiveness and individual coaching programmes for corporates and SMEs across the EMEA region. The Digital Zebra has been engaged to develop their business-focused social media activity, centred on their website, LinkedIn and Twitter accounts. Redbox Mobile is a technology business, based in London and New York, specialising in “App Store Optimization” (ASO). They enhance the performance and ranking of mobile apps within app stores, maximising revenue opportunities to app owners. Their clients include the Wall Street Journal, Virgin Media and News UK, the publishers of the Times and Sunday Times apps. The Digital Zebra has been engaged to develop a multi-channel social media strategy, in order to promote, enhance and exploit the company’s industry-leading ASO capabilities in Europe, North America and the Asia-Pacific regions; and to manage social media on LinkedIn, Twitter and other channels. 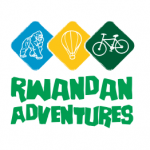 Rwandan Adventures is a holiday and tour business based in Kigali, Rwanda. They run hiking and biking expeditions in Rwanda and the DR Congo, as well as organising hosted safari trips to see the Rwandan mountain gorillas and much more. The Digital Zebra has been engaged by Rwandan Adventures to author original content on the company’s customer-facing website, manage the content and interactions on Facebook and launch Twitter and Instagram accounts. You can see the website here, follow the Twitter account using @RW_Adventures and see the Instagram account using @rw_adventures.